Rehoboth Beach Vacation Rental – Henlopen Unit 207 | The Henlopen Rehoboth Beach Rentals. 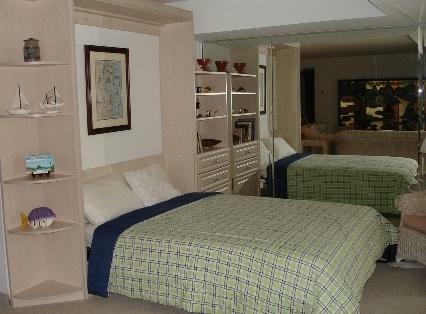 Rehoboth Beach - Come enjoy this spacious unit with convenient courtyard access. Beach convenience is number one on this units list of amenities. Relax your day away with some sand between your toes! Building-wide WiFi (1 King bed, 2 single beds, 1 Queen murphy bed) Max Occupancy: 6 Saturday rental- NO SMOKING. NO PETS. The Henlopen Condominium in Rehoboth Beach, DE is an ocean front building located at the northern end of the boardwalk; Less than 0.4 miles via boardwalk to Rehoboth's famous downtown restaurants and attractions. The Henlopen Condominium offers you a relaxing vacation with wonderful amenities such as: Building-wide WiFi, an outdoor rooftop pool, outside shower, and easy beach and boardwalk access. Book today or call us. 207 unit is perfect distance to key locations and surrounded by restaurants and ample shopping. It's approximately 45 minutes from Ocean City MD and an hour from assateague island. The Condo could use some TLC but overall the spacey unit and setup to the beach with top notch security is an overall win. Will definitely be returning next season!!! My friends and I love the Henlopen's location and the basic design of the building. We were pleasantly surprised by the roominess and privacy of the unit. Although #207 is a bit dated as far as its decor, the place is spacious and is close to beach/shops'restaurants; the kitchen is pretty clean. The guest bathroom and bedding, however, were not clean. Our master bedroom's bedspread had questionable stains on it and was sandy, as were the extra blankets in the closet. The guest bath looks like it has a few decades of crud, so that could have been cleaner. To end on a positive note, though, I love the Henlopen's security and parking, and it is a great place to stay. I want to return in the future, and perhaps book a different unit. Thanks, Long & Foster!